The holidays can be challenging for caregivers. Difficult or insensitive family members are especially hard to deal with when you’re already juggling caregiving, work, grief over past losses, and holiday prep. To help you manage the family issues that are likely to come up during this time, we share tips and suggestions from 6 top articles. Find out how to reduce stress and anxiety by minimizing surprises, preparing responses to criticism, and planning for difficult conversations. Many families only get together a couple of times a year for big celebrations. You see your older adult all the time, so the way they appear and behave is normal to you. But for others, it can be a shock – especially if they’ve declined since the last get-together. Being surprised could make family members irrationally angry, ignore your older adult, or insist on making unwise changes to their life. 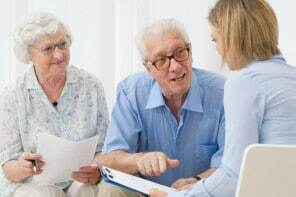 Find out how preparing family before their visit helps you and your older adult and get a sample email letter that you can customize. Are you struggling with family members who don’t invite you or your older adult to their holiday gatherings? Or perhaps they extend an invitation, but don’t consider your older adult’s needs and realistic capabilities. And maybe they get offended when you explain that your older adult can no longer participate in certain family traditions. Worst of all: they might blame YOU for being difficult or overprotective. Get 3 tips that help you deal with insensitive people and minimize your stress. Getting criticized is unpleasant, especially from family or friends who don’t lift a finger to help care for your older adult. If you get a hurtful comment, first take a deep breath and try to stay as calm as possible. Then, try one of our 3 suggested responses to change the tone of the conversation and reduce future criticism. Whether it’s about Alzheimer’s, fall risk, or post-stroke recovery, or another health condition, their denial can make you feel angry, stressed out, and frustrated. For some people, denial is a subconscious way to ignore the fact that their parent is declining. For others, it’s a way to avoid taking on caregiving responsibilities. Get 3 ways to break through their denial. When you’re taking care of your parents, the last thing you need is more stress or resentment because of issues with your siblings. But getting siblings to help can bring up old family arguments, cause sibling rivalries to flare up, and generally add to your burden. Try these 4 helpful tips to resolve common issues when caregiving with your siblings. Caring for an older adult by yourself is exhausting and can negatively impact your health. But getting family to help is often a challenge. 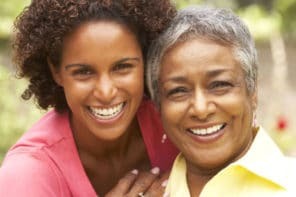 Getting a better understanding of why family members aren’t doing their part helps you find ways to get them to participate in caregiving. We share 3 top reasons why family members don’t help with caregiving and suggest ways to overcome their excuses so they’ll give you the help you need and deserve.